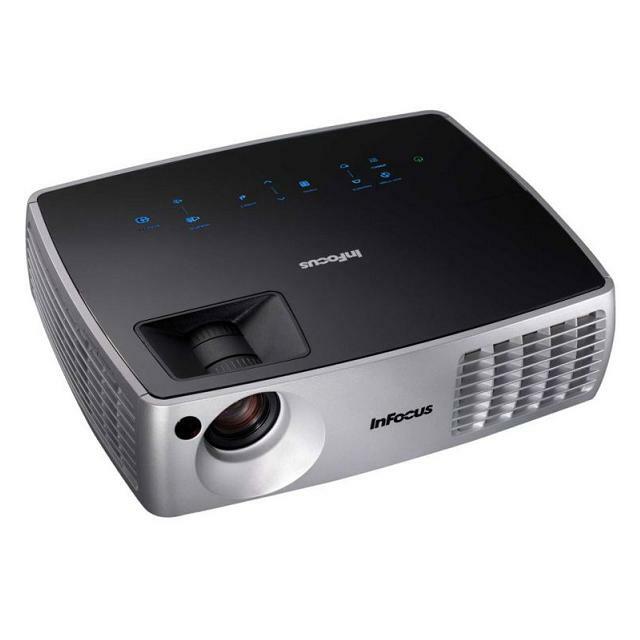 The InFocus IN3102 digital multimedia projector provides meeting room presenters with the high performance and balance of 3000 lumens with a 2000:1 contrast ratio and the true-to-life colors of DLP? with BrilliantColor? technology. This XGA native projector features DisplayLink content-over-USB for fast setup, and the subtle sophistication of LiteTouch? control to stealthily blend into your meeting space. Refurbished with 30 day warranty. Cosmetic Grade B: These units will have some cosmetic blemishes that include scratches and/or other surface imperfections. Some projectors may exhibit shiny areas on the keypad and/or shiny surfaces around the buttons.